Nothing’s perfect, and operating systems are no exception. Now, don't mistake my complaints about iOS 6 for complete dissatisfaction: After all, I still choose to use the OS. Its flaws haven't yet driven me into the arms of Android- or Windows-powered devices. But there's no reason I can’t maintain my love for iOS even while noting some of its rougher edges. Many of the things that bug me about iOS 6 are longstanding weaknesses—some even date back to the first incarnation of the iPhone. More than a few I’ve complained about before. I realize that building a great touch-based operating system is hard. It presents challenges that are wildly different from those posed by keyboard- and mouse-drived operating systems. While Apple should be proud of what it’s accomplished with iOS, the company now needs to focus not just on shiny new features, but on improving some of the system’s core foundational elements as well. 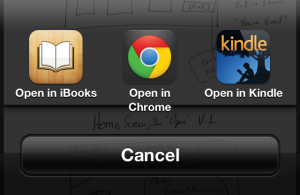 Highlighting text in iBooks is a pleasure: You just swipe your finger over the text you’re after. But when it comes to selecting text in other apps, you tap, you hold, you use the magnification loupe, and—almost inevitably—you futz around a bit. 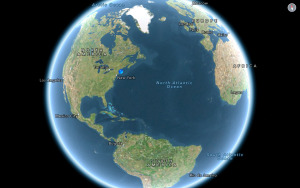 It’s worst on the iPhone, but it’s troublesome on the iPad, as well. Some apps have attempted to improve matters by implementing the so-called Hooper Selection concept, where swiping across the on-screen keyboard can move the cursor and select text with broader, less precise gestures. 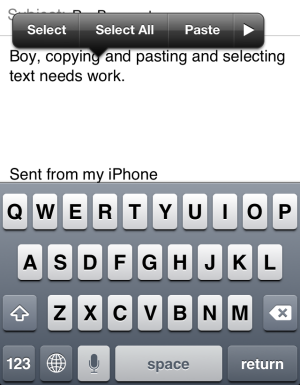 Obviously, though, text selection is an issue that Apple needs to solve across the board. And the problem isn’t simply the difficulty of highlighting the exact text you’re after. In certain apps—particularly Safari—highlighting specific bits of text takes many times longer than it would on the Mac, because layout and rendering issues make it hard for the mobile browser to figure out precisely which text you want to highlight. Copying and pasting, currently accessed through contextual popover menus that appear more or less on demand, may be a little easier to improve than text selection. Much of the copy-and-paste process likely feels fiddly because of the issues with text selection. Still, I’d love to see Apple further improve the current implementation, which has never seemed particularly natural. Apple’s approach to the iOS home screen is dated. 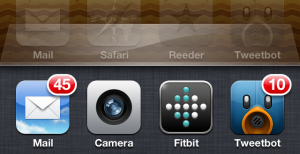 The trusty icon grid worked well enough in the days before the App Store debuted, but it’s time for an overhaul. Windows Phone offers a searchable, alphabetical list of all your apps. If you’re not at least a little jealous of an Android or Windows Phone home screen, then you haven’t checked one out recently enough. Apple obviously needn’t (and wouldn’t) emulate every feature its competitors offer in this department, but culling a few of the best features and implementing them on iOS would substantially improve the experience for basic and power users alike. An Android home screen can include widgets like a weather forecast, quick access to settings like Bluetooth and Wi-Fi, highlights from your calendar, tweets, an omnipresent search box, and plenty more. And Windows Phone dumps the familiar icon approach almost entirely, in favor of tiles that can reflect far more data than the iOS home screen: Live Tiles on your home screen don’t just provide quick access to your email—they can display the latest messages in your inbox. The calendar tile shows your next appointment. And Live Apps can reflect their latest content (your timeline, news headlines, and so on) on your lock screen, without your needing to update them manually. Organizing apps on iOS is still painful, whether you try to do it on your device or from iTunes on your Mac. Windows Phone uses the familiar “tap and hold” to organize approach, but the organization process still feels considerably simpler because Windows Phone uses a single, vertically-scrolling screen for organization. While that would seem to get unwieldy if you have hundreds of apps, it works for Windows Phone because that platform treats its home screen more like Mac OS X treats the Dock: It holds your favorite stuff, and you dig deeper (via search or an alphabetic list of all your apps) when you want to get to the stuff you use less frequently. While these approaches will strike longtime iOS devotees as foreign, that doesn’t make them inferior. I suspect users with more than a couple screenfuls of apps, or with more than a couple of indistinguishable folder icons, would welcome such innovations from other touch-based operating systems. Sharing data and documents between apps in iOS still stinks. Apps that save documents to iCloud, for example, can’t directly share those documents with other apps; the best you can do is open a copy of your document by starting from the originating app and using it to send the document to a second app. It’s unintuitive, clunky, and frustrating. These same data- and file-sharing problems afflict apps that use local document storage instead of relying on iCloud: You can send only copies of documents between apps—a serious hassle. iOS eschews the concept of a user-accessible file system, and that may well never change. But perhaps Apple could at least take a single step in that direction, by offering Dropbox-like file access to documents you store in iCloud. That one step, with a simple API for developers to offer access to said files as appropriate, would mean that any compatible app could, say, open your iCloud-stored text and Word documents, images, and so on. Double-tapping the Home button to navigate between apps is a convenient feature. The fact that apps can freeze their state and resume it nearly instantly is also good. Background audio, VoIP, GPS functionality—these are all good, as well. But iOS could do more to support active multitaskers. For example, while that multitasking bar you get when you double-tap the Home button is good, it’s far from great. A Mission-Control-inspired interface, showing screens from your recently opened apps, might offer far more utility. I’d also (still) love the ability to selectively grant some apps the ability to fetch data even when they’re in the background. If my social networking, newsreading, and ebook apps could—even only once a day—poll for new content without my needing to launch them, I’d never run the risk of getting on the bus to Manhattan with my Wi-Fi only iPad mini, just to discover that all those apps were empty or full of stale content. Apple, as always, will do what it wants. 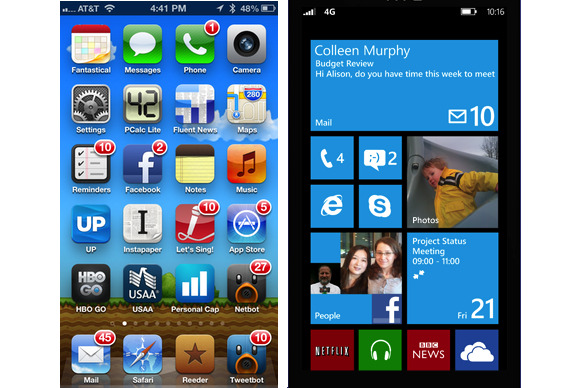 iOS 7 will likely come out in 2013, replete with new features we love and likely a few that confound us. We’ll all rush to download it, presuming our iOS devices support it. But as you continue to encounter competitors' operating systems in the wild—with their occasionally superior features—don’t be surprised if you find your eye starting to wander in their direction.